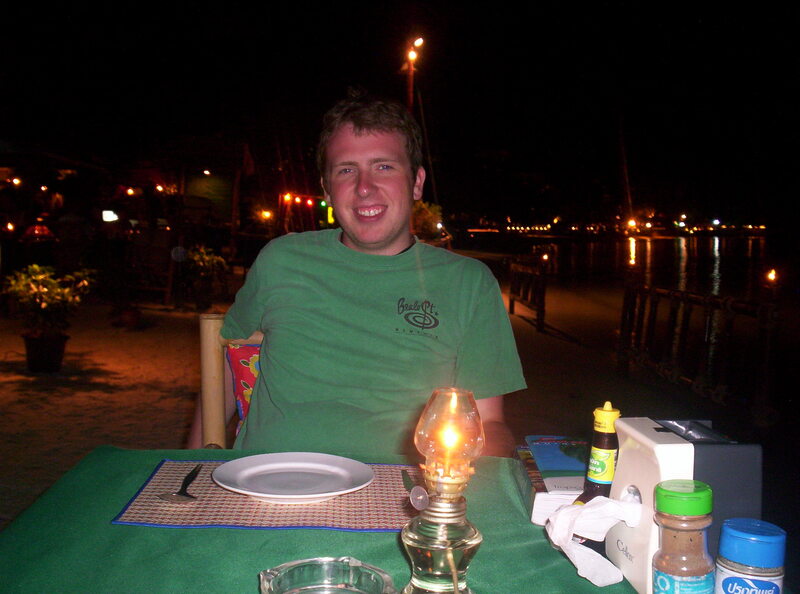 Our first stop in Nepal was in Pokhara. It is the second largest city in Nepal. 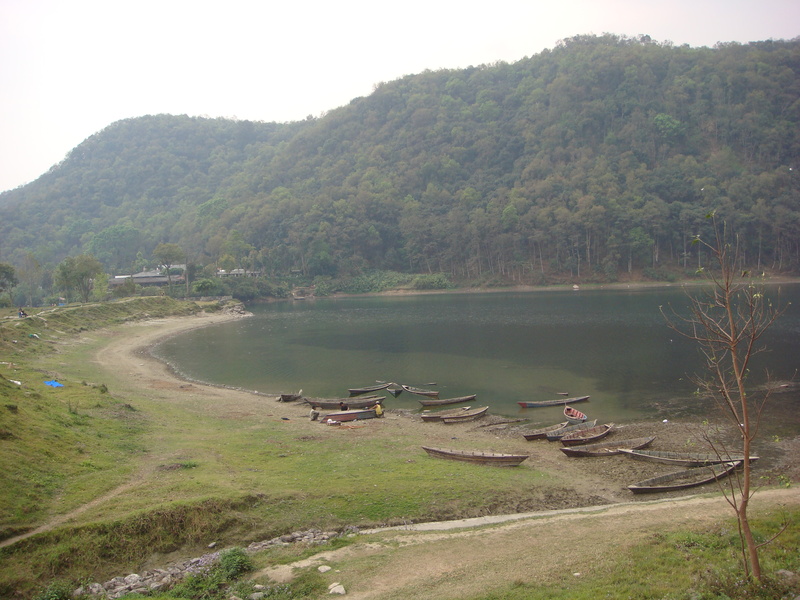 Pokhara was a quiet city surrounded by a beautiful fresh water lake named Phewa Lake. 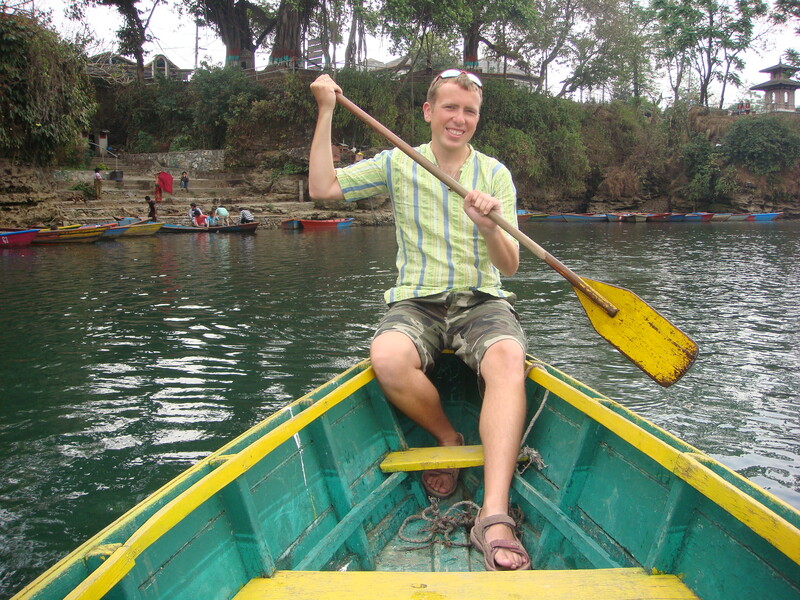 Jason paddled us around Phewa Lake, the second largest lake in Nepal, for a few hours. We took the boat across the lake and walked up to this stupa. 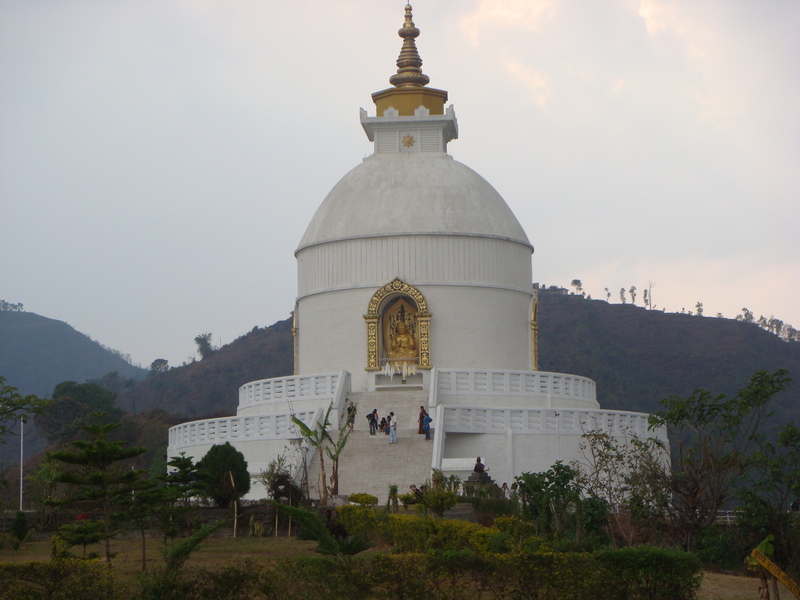 This Buddhist stupa, which is named the World Peace Stupa, serves to inspire peace throughout the world. From the top of the stupa, we were able to see beautiful views of the Annapurna ranges in the Himalayas. 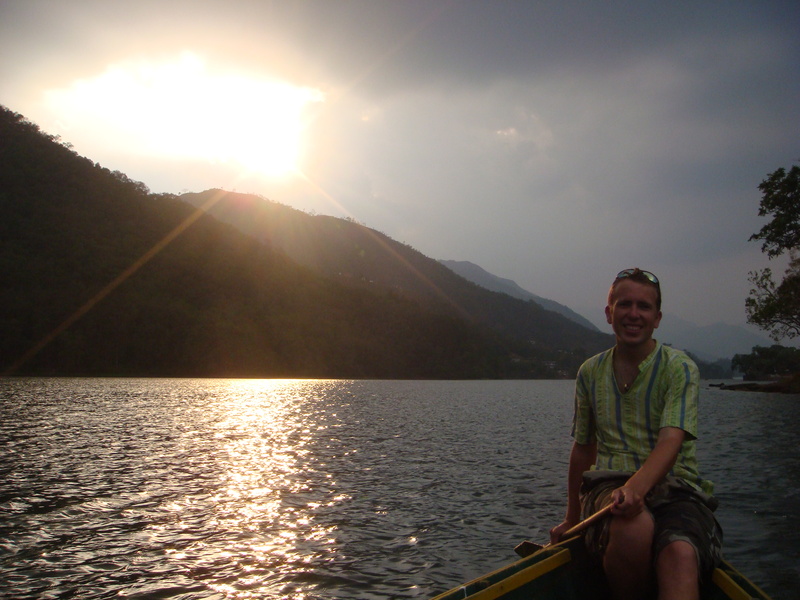 After visiting the stupa and some other smaller temples, we spent the day paddling around the lake until early evening. 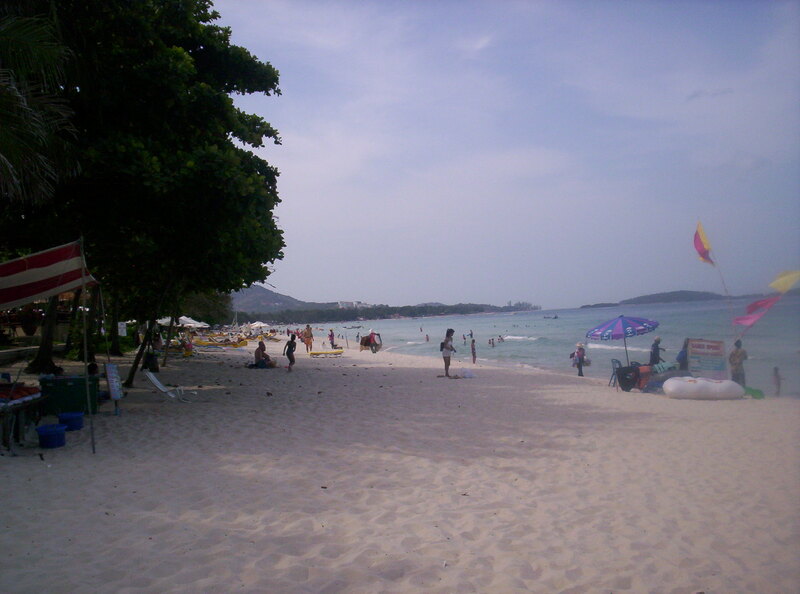 It was a very pleasant and relaxing way to spend a day. For us, traveling isn’t just about checking off a list of countries we have visited. 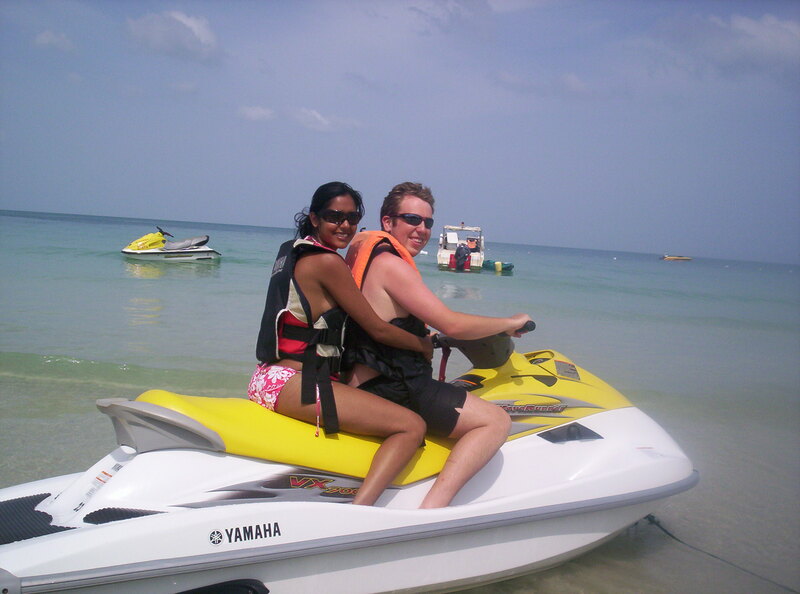 It is more about the experiences we encounter during the trip. Sometimes the experience can be as simple as trying a new drink at a local bar. While we were in Hong Kong, walking around the city exploring, it started to rain. It wasn’t just light rain, but a sudden downpour. We were almost about to be drenched in water, when we quickly took shelter. We were riding up Hong Kong’s outdoor escalator. It is the world’s longest outdoor covered escalator that extends over 800 metres in distance and elevates up to 135 metres. Pretty impressive! Anyhow, it was while riding this impressive escalator, we spotted a bar advertising a mint chocolate martini. 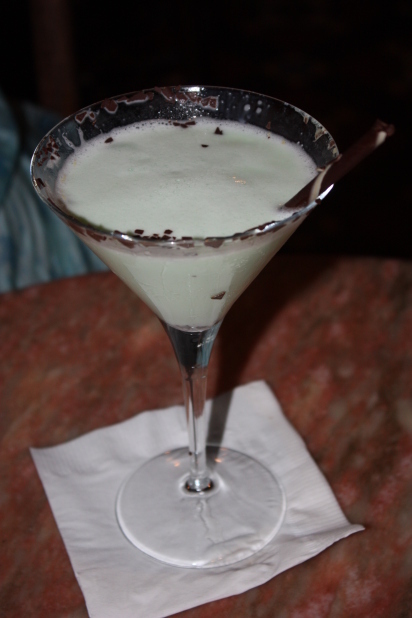 I like martinis, and I had never tried a mint chocolate martini before. So, Jason suggested, perhaps we should just order a few drinks, sit back, and relax. 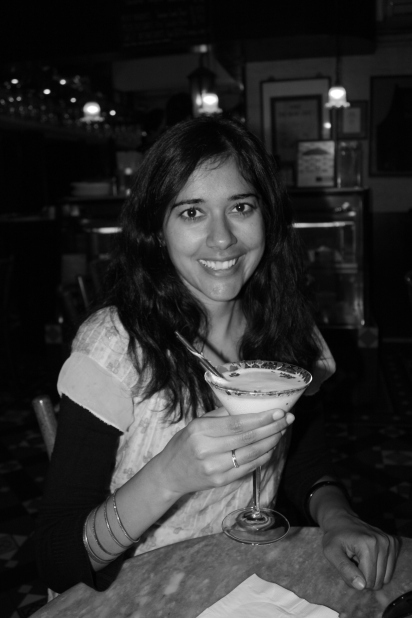 For the next few hours, we enjoyed a couple mint chocolate martinis and conversed about our Hong Kong trip. We decided to sit by the open windows, since they gave us a beautiful view of the heavy rain pouring on the streets. Outside while everyone hustled around with their umbrellas, we sat back comfortably trying to take in this beautiful moment!